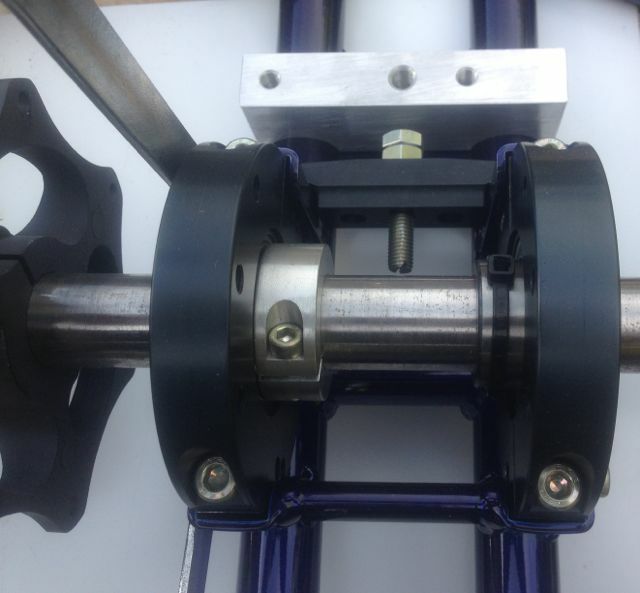 We have seen many people spend a lot of money on there go kart engine with modified camshafts, big valve heads, stroker cranks and billet conrods only to go and use a cheap poor quality engine mount to mount there engine to there go kart. 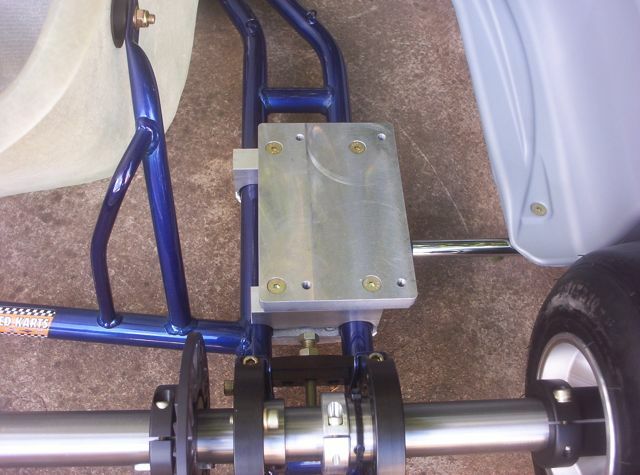 As a go kart goes around the track the chassis will flex and as you may have seen on fatigued older chassis and endurance go karts are a prime example cracks can appear around the engine mount and axle bearing area. Just imagine as the chassis twists what your engine block is doing. 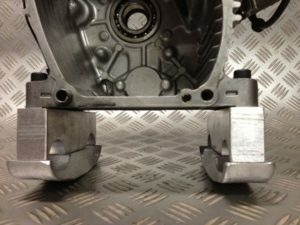 A good quality engine mount system can make making your engine and rear sprocket alignment much easier. As we all know a poorly mounted engine can lead to clutch bush wear, sprocket wear, chains falling of and engines being pulled of centre as your engine drives. 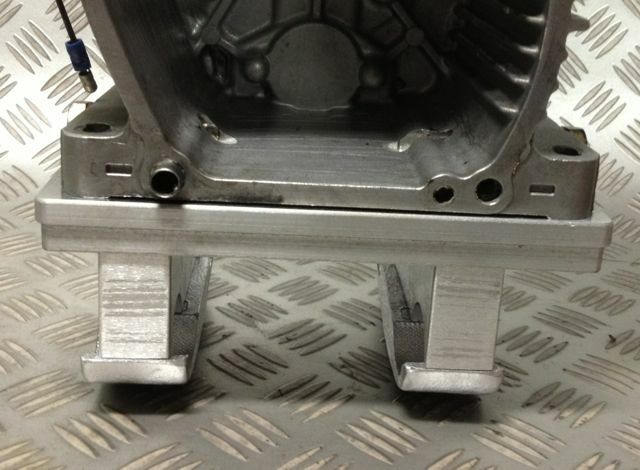 Pictured above is a rear axle and in the top of the photo is an aluminum engine mounting block. 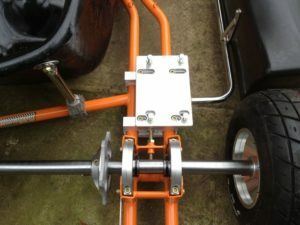 you will also notice the snug bolt with the locking nut between the bearing mounting blocks. A correctly machined engine mount assembly fitted with a snug bolt will lessen some of the problems that go with a cheap inferior engine mount that is made to look nice with there anodised or powder coated finish. Its the old story you can polish a turd but it is still a turd, just a shinny one. With the AS0253 engine mount upper chassis clamps sitting in position the AS0233 or AS0234 engine base plate can be bolted in position. 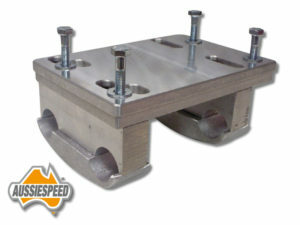 The mount pictured is a purpose mount made for our Aussiespeed 4 stroke chassis. 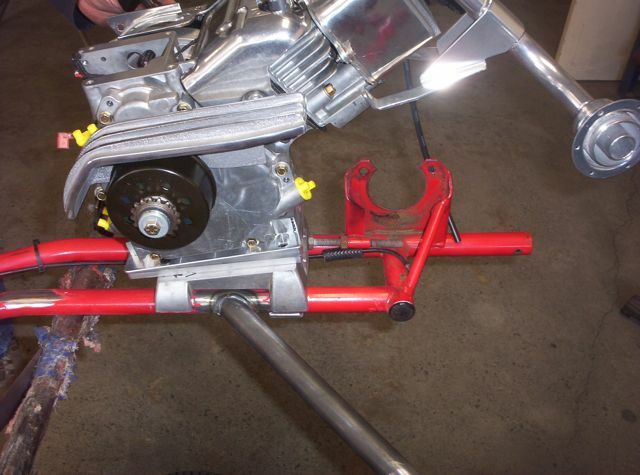 The off the shelf engine mount has some adjustment to more the engine in or out. Aussiespeed engine base plate engine mount kits fit 92mm rail spacings and can be used on all small block style engines on rookie , fullsize adult and single and dual engine endurance go karts. With the engine block mounted directly to the upper chassis clamps there is still nothing but the engine block to stop the engine from twisting. There is no support. 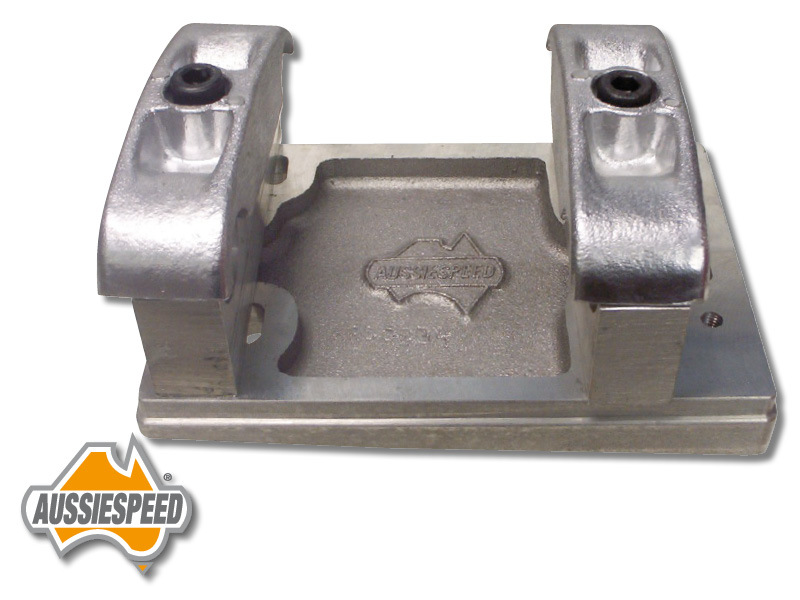 The Aussiespeed engine mount kit is supplied with bolts, washers and spring washers as well as the upper and lower chassis clamps and bolts. 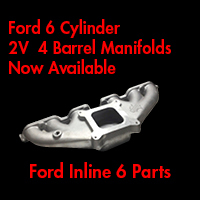 We have used these engine mounts on high out put 4 stroke modified engines pushing 25+ horsepower. The Aussiespeed engine mount plate can be mounted to 2 stroke engine mounts, It is critical that when drilling the base mount that the engine plate is square so it mounts straight with the chassis rails. 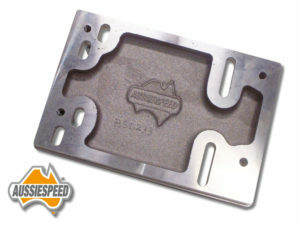 These plates have been designed and tested by Aussiespeed. 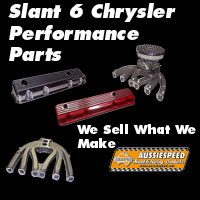 TO VIEW THE RANGE OF AUSTRALIAN MADE AND DESIGNED ENGINE MOUNTS FOR $ STROKES CLICK HERE.